Why go through all the trouble of traveling to go shopping? Classic Tuxedos & Suits has a selection of menswear available to browse, and catalogs to help you find your style when it comes to Suits, Blazers, Slacks, Shirts, Ties, Socks, Shoes, and more. We’ve even recently added Ralph Lauren and Calvin Klein into the mix! We’ve been approached a lot lately about suits in particular. From your college freshman, who needs an inexpensive suit for a class presentation, to bankers and lawyers who are sick of investing 4 hours or more driving to look at limited selections out of town. We’re here to help when it comes to fitting a budget, buying American Made, finding a special look, or adding to your weekly wardrobe. 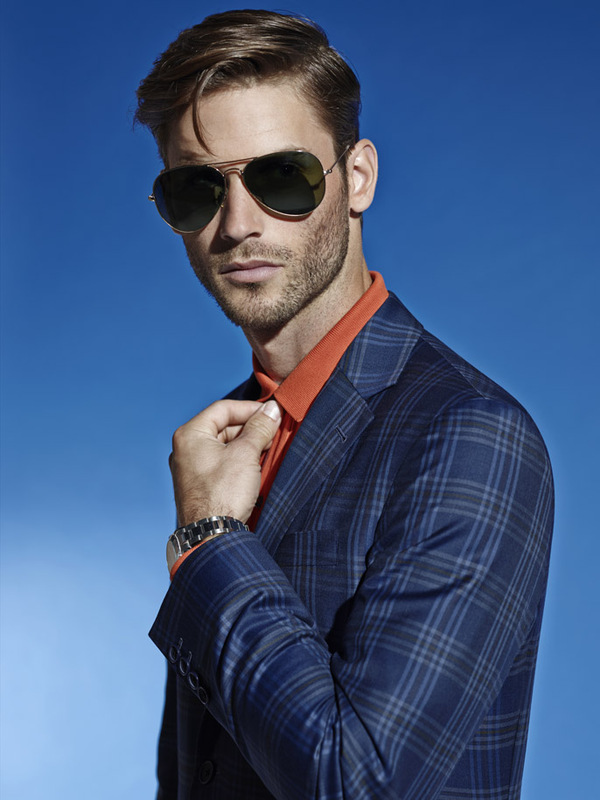 S. Cohen, a company based in Canada, is at the forefront of men’s fashion. 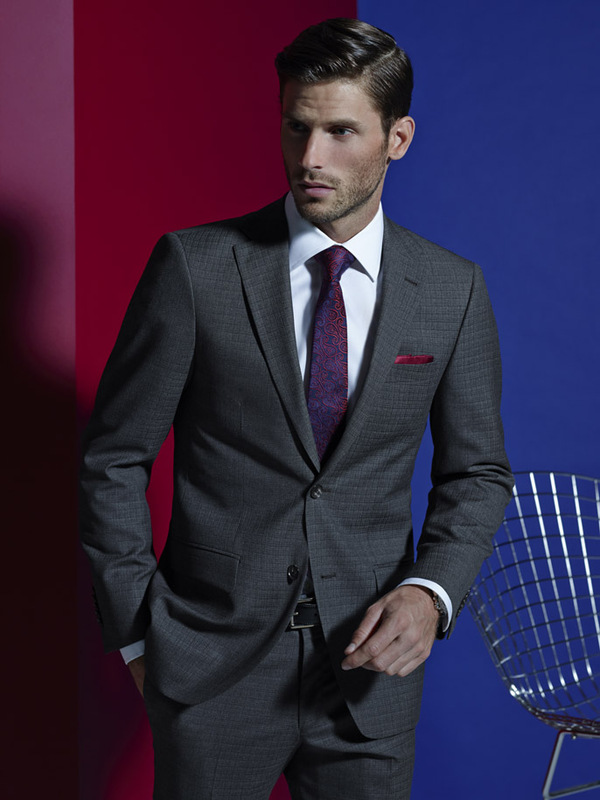 These suits are known for their up-to-date styles and quality, S. Cohen makes their suits with the finest wool. Boasting anything from solids to bold patterns, and everything in between. Many of these suits are available in Slim-fit, Modern, or Classic fits. Available as separates and with a cutting edge custom made program, this is the brand to look at when looking for the perfect fit. We are pleased to announce that we are now carrying Ralph Lauren and Calvin Klein suits, blazers, and slacks! Top of the line designer styles, and an unbeatable price, these are a great avenue for young professionals, the fashion conscious, CEO’s and big-wigs alike. Boasting both modern and slim-fit styles, and a range of powerful looks that look great in any setting, these are a favorite of ours. (I wear the slacks from both brands often, and I love the fit). 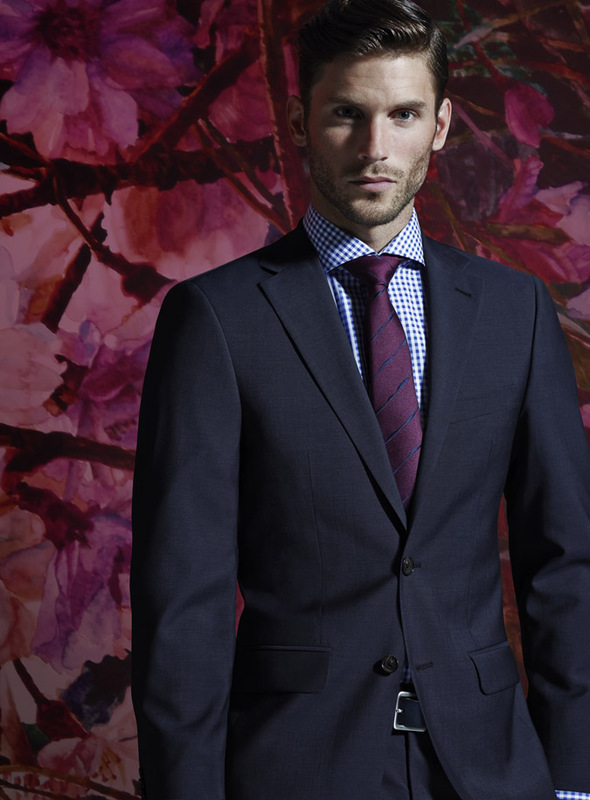 Hardwick Clothes has proudly made suits and separates in the US for over 130 years. With many options for color, wool and wool blends, and even seersucker suits, it’s easy to see how they’ve been in the game for so long. 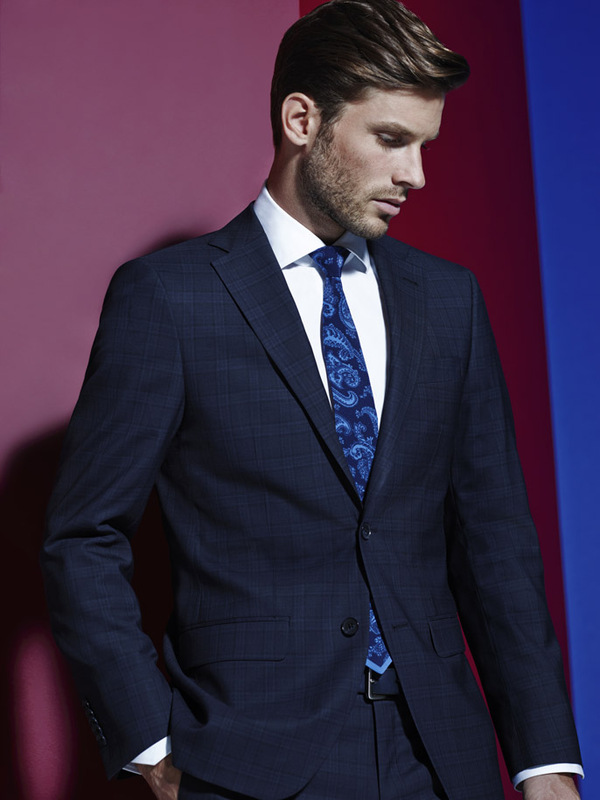 Whether you are looking for a suit, blazer, sport coat, or pants, Hardwick has lots to offer. 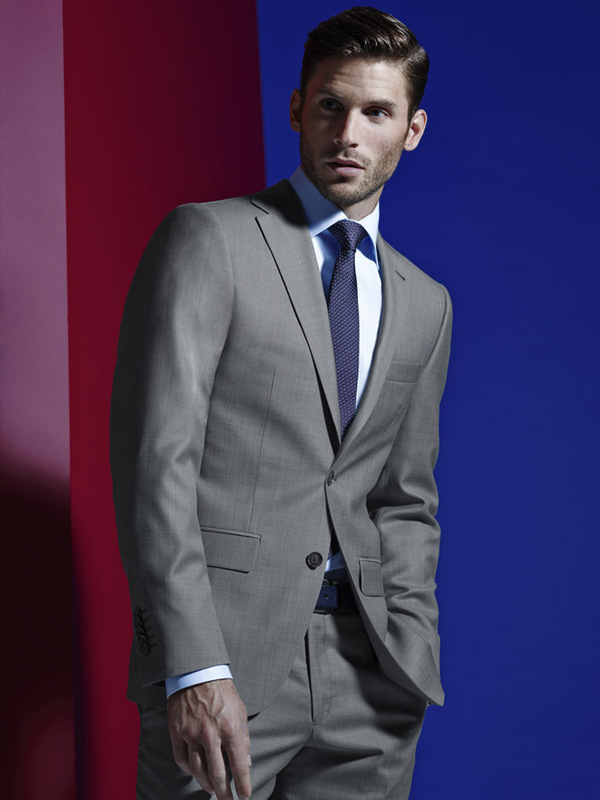 San Malone offers a variety of suits at a very approachable price. Because their suits are offered as “married” or “nested” pairs (meaning the coat size determines the waist size of the pant), the savings are passed along to you! San Malone has an incredibly large in-stock program with many different colors, patterns, and even some Slim-fit and West End styles! These are great for your first-time suit owner, accessible pricing and a large variety make the process easy to manage. We’re always working with new brands for accessories, Johnston & Murphy Shoes, Neckties from Bruno Piatelli, Stacy Adams, Zenio, and Piattelli Roma, and adding new lines all the time, so keep in touch and we can find the look that’s right for you!